The price of beans drastically fell in Kampala. 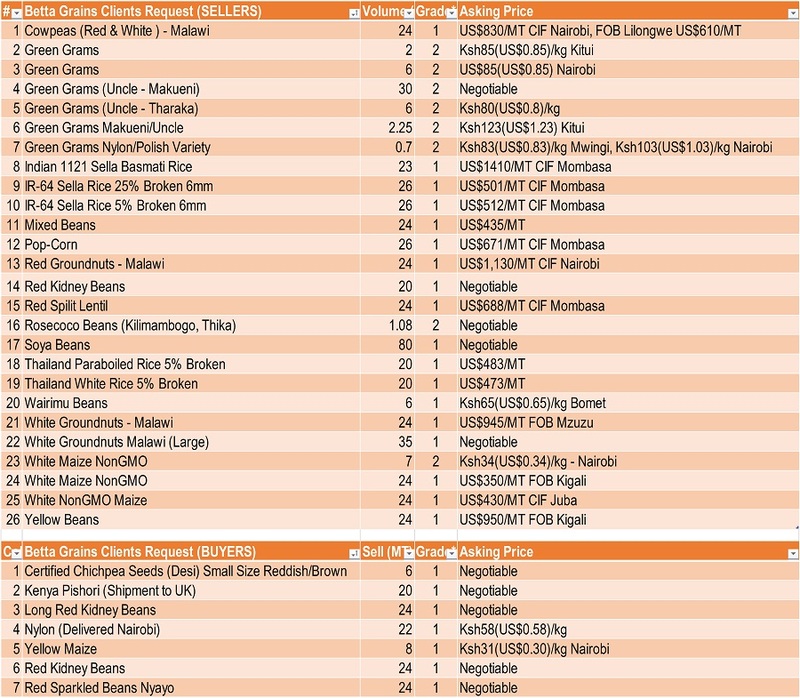 According to Farmgain Africa the beans market price dropped to its lowest in the last 5 years. The price of pigeon peas and cowpeas continues to drastically fall as Kenya begins to harvest. In most parts of Makueni, fresh cowpeas are being bought at Ksh15(US$0.14)/kg. The weeks unusual trade pattern included a drastic reduction of millet exports from Uganda to Kenya (306.43MT) in comparison to the previous week (1,328.85MT). 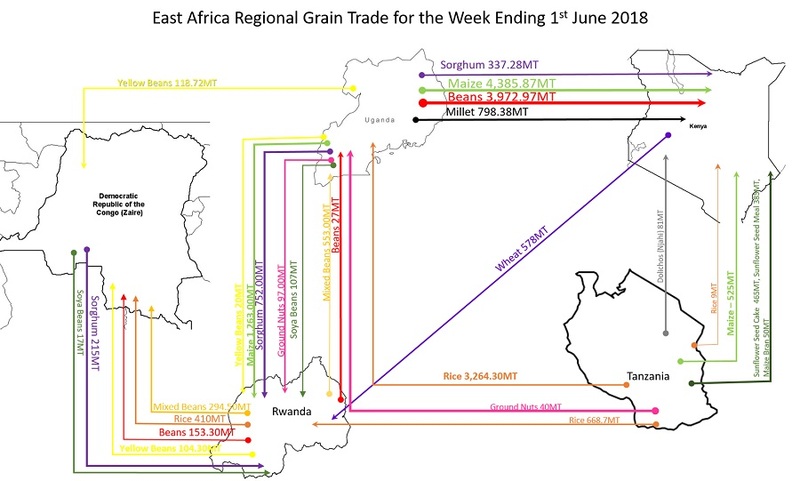 Another unusual trade pattern was a drastic increase in maize exports from Uganda to Rwanda (1,263MT), in comparison to the previous week (834.49MT), probably maize destined for South Sudan, due to more favourable maize prices.